@syedyaseer looking forward to seeing you tomorrow. Please make sure your front and rear tow hooks are in good shape, if you can please get a flag and glass clamp to hold it in place and if possible get a 2 way radio UHF. As for the petrol we always advise to have a full tank, but if it's showing 450 kilometres to go than you should be good for this drive. @Rahimdad Sir as i have mentioned earlier i have not bought anything till date to support offroading. And i doubt i will be able to buy it before the drive tomorrow due to my hectic schedule for the day. I will try my level best to meet the basic requirement as mentioned. Tow hooks i will check and im hopeful they will be in good shape. Regarding radio & flag including clamp i really doubt i will be able to buy it 😩. But i can assure this requirement will be met before the upcoming drive in future. My office is near to union metro. if someone can recommend me any shops nearby i can give a try during my lunch hour. Tow hooks - This needs to be checked right? 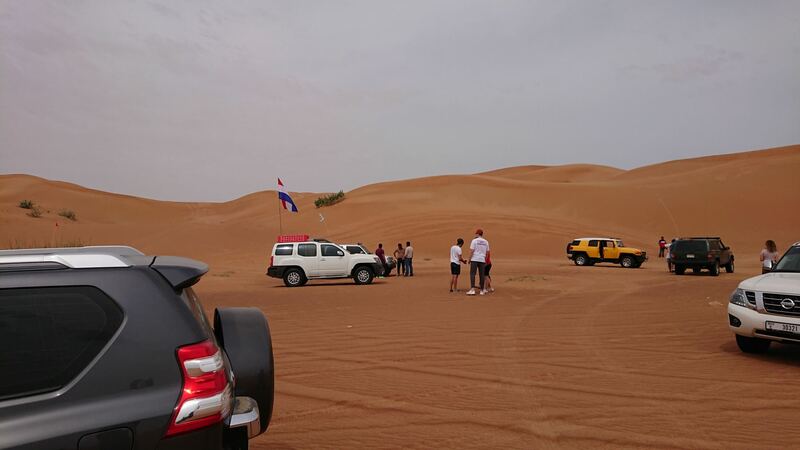 i have intermediate off-roading experience and have been with others clubs here in UAE. 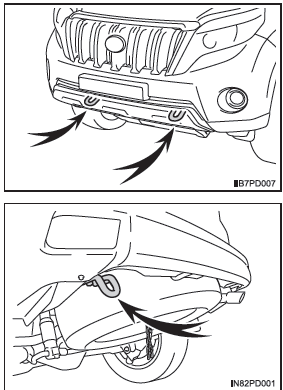 @syedyaseer yes, the tow points need to be checked as shown in the diagram. It's ok for tomorrow not to have a flag and radio. See you tomorrow. @O.Farahat you can join the all level drive in the morning. Excellent drive today! Thanks for having me and being so welcome to an absolute newbie! Definitely will be coming back for my 2nd drive soon! Special thanks to gaurav and rahim for guiding us the path. 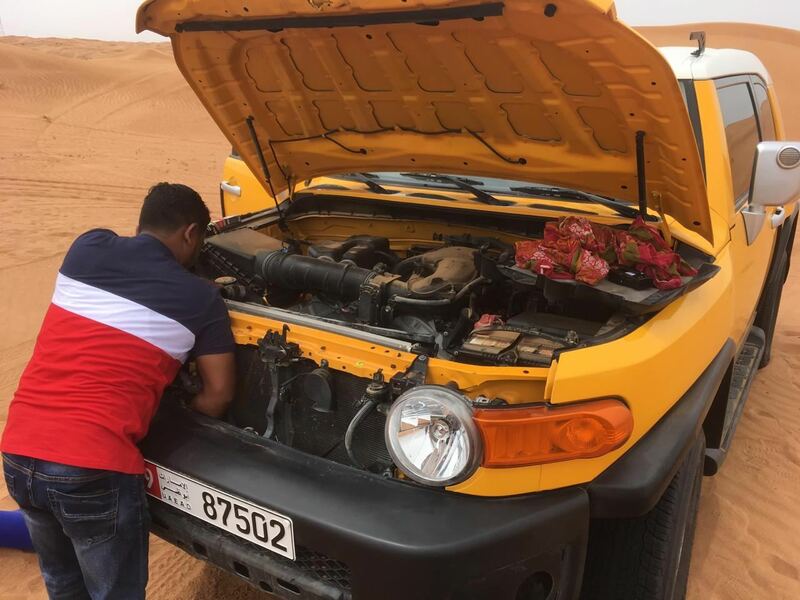 Hats off to younus and kamrul for technical and mechanical support through out the experience . Guys. 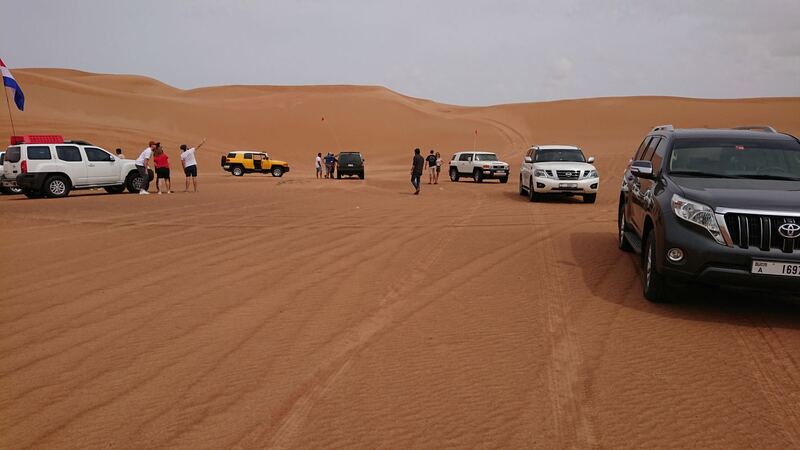 Hats off for your hard work and dedication to ensure that the convoy is safe and sound. Though my experience as a driver was full of unexpected dunes, but thanks to @Rahimdad @Gaurav and special thanks to @yogic72 mirza bhai. His one dialog which kept me going was Kuch nahin hota (nothing will happen). Super Special thanks to @Srikumar how can you be so patient in first place. Respect!! I was just ringing if I felt little uncomfortable too. He was just just take left and you are good to go. Guys when I came back from the drive just logged into carnity to check whether it was for me as a newbie or fewbie. Had a wonderful time with you guys. Thanks again.